The sand casted solid copper Bath Accessories are hand cast and finished by experienced craftsmen who take pride in their handiwork. This dedication to the personal attention and accountability for each worker's efforts creates a product which cannot be matched in quality and value by automated mass production factories. Each Copper Factory product is handled and inspected by several experienced artisans who all have the authority to reject anything less than excellent quality, assuring only the Best product has The Copper Factory name. 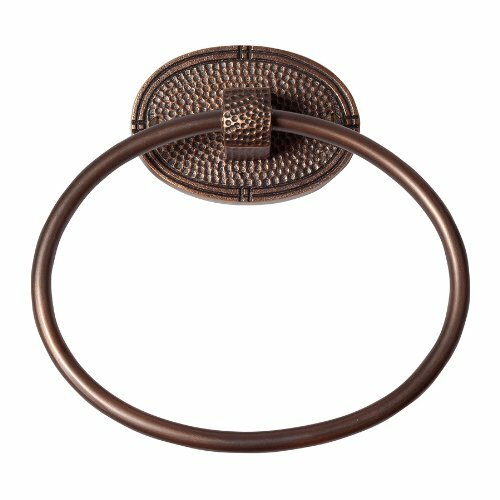 The durable and attractive finishes give our products a rich and inviting appearance which is suitable in traditional or contemporary designs. The Copper Factory is bringing the rich tradition of copper to homes across the country and beyond with a comprehensive line of hand crafted bathroom and kitchen sinks, bathtub, and other matching accessories. Starting with native copper, experienced craftsmen hand hammer or sand cast each piece to create durable, hygienic and above all, attractive product offering that suit a variety of lifestyles from traditional farmhouses to contemporary urban lofts. Welcome to The Copper Factory Experience. If you have any questions about this product by The Copper Factory, contact us by completing and submitting the form below. If you are looking for a specif part number, please include it with your message.